We weren’t going to get Elf On The Shelf. You might have an Elf on the Shelf watching over your family right now but, for the past couple of years we were Elf free and I liked it that way…or so I thought. When the pictures started surfacing of this mischievous imp doing ridiculous things I rolled my eyes and scrolled past the photos knowing that there was no way we were EVER going to join in all their crazy antics. Granted, he’s adorable and the kids love those elves. I applauded their creativity trying to come up with new ideas of placement night after night. But, something changed and we found ourselves the proud owner of our own ” Scout” the children loving named “Jolly”. He arrived late on the morning of the 4th and since then has had the kids searching every morning to see where he is hiding. So, where has our Elf on the Shelf has been hiding? Are you late like I am and just celebrated the arrival of their Elf on a Shelf or do you find that you’re still on the fence like we were? What name did you decide to call your elf? What creative/unique places have your little ones found your Elf on the Shelf hiding?Do they get into mischief or spread cheer and joy? 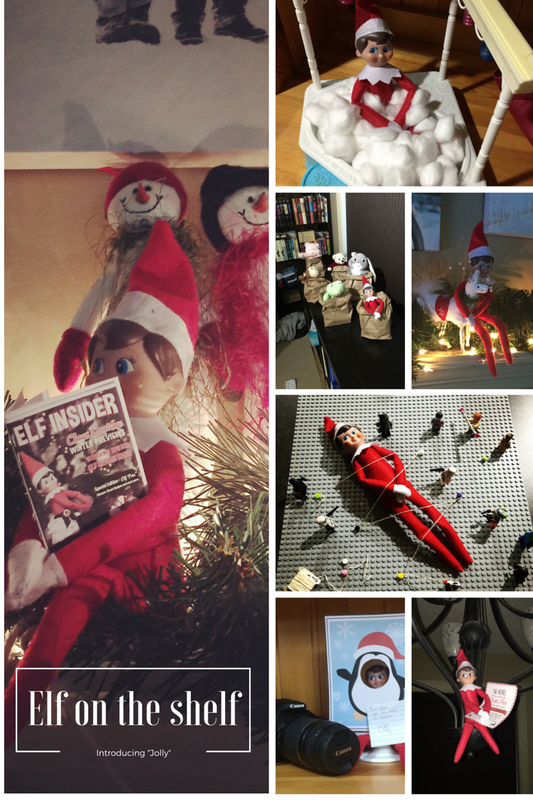 I snagged our copy of the “Elf Insider” here so make sure to take a peak at the Elf On The Shelf website for a ton of really cool ideas that are sure to inspire you and get the creative juices flowing. I would love to hear all about what your Elf On The Shelf has been up to in the comments below! Ahh this reminds me of all the christmas movies including Elf the movie lol Elfs get into a lot of shenanigans but they are so cute! I think it is a great idea for the holidays, the kids would love it! love this!! A friend of mine’s elf has broken his leg and is on strict rest for the next 9 days..no moving! LOL!! We haven’t yet, but I just don’t think it’s been on my kids’ radar yet. We did get a Switch Witch for Halloween and had a blast, so I imagine this is coming next. It amazes me how much trouble these Elf’s can get into. They seem to find lots of sticky situations. lol. this elf on the shelf is everything. i love seeing him…so awesomely hilarious. also great gift ideas. Elf on a Shelf is a lot of pressure. My husband started it with us, but sometimes he forgets. Then we have to find the explanation – it’s a challenge. We have an lion the shelf and we move him from spot to spot, but haven’t done too many creative things with him yet, we are afraid the littles will break the rule and touch him. It’s fun, but I am glad not to have to move him again once Christmas is over. I have to admit that it would be so fun to mess around and come up with silly scenarios! I think I’d have as much fun as the kids. I had fun with it at first, but now I am running out of things to do with him after all these years. That makes sense. I’ve been seeing some pretty clever ideas online lately though. Ha ha I love the one with the Legos, it’s a brilliant idea. I forgot to get an Elf for our shelf this year and has never done it since we moved here in the US. But I am thinking of doing it next year because it’s fun to see my kid’s reaction. I can’t decide if Elf on the Shelf is cute or creepy. It does make me laugh though. Glad your kids like him. He looks like fun. our family loves our Elf on the Shelf. It is such a cute family tradition to do with kids. There are also so many options for making things super creative! I love elf on the shelf. We’ve had ours the last 3/4 years now. 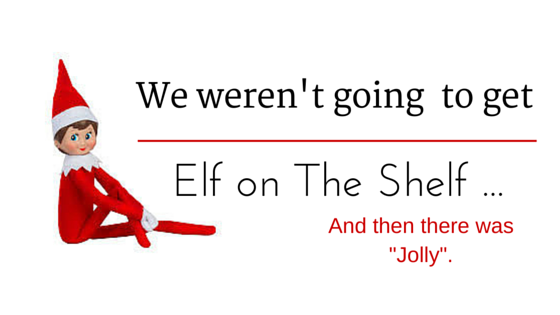 Our Elf, Elfie is on vacation this year. I can’t ever remember to move it or do anything with it so my kiddos get so sad….. The hubs and I are undecided on Elf on the Shelf if we have kids. We love seeing the pictures but we just don’t know if we have the creativity to do it every day, year after year. Kudos on doing it for your kids! I don’t have an elf on the shelf. It looks like so much fun though. You’ve come up with some cute ideas. I am loving all the Elf on the Shelf ideas. But, I keep waffling every year whether I’ll get one or not. We were in the same boat. Initially, we didn’t want to get an Elf. And then, after the kids requested one, we got one and we’re all having fun with him! It’s a cute tradition. I gave the grandkids an Elf on the Shelf a few years ago and they always look forward to his appearance on December 1st. They absolutely love their little Elfie. Great ideas for Elf on the Shelf. My granddaughter loves hers who showed up last year and is back this year. That Elf gets into all kinds of mischief.